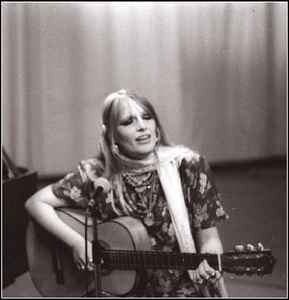 Gabriella Ferri (born 18 September 1942, Rome, Italy - died 3 April, 2004, Corchiano, Viterbo, Lazio, Italy) was an Italian pop-folk singer and actor. Her career began in a Milan nightclub in 1963 when she was discovered by Walter Gürtler. By 1965, she had become successful in Rome by singing popular Roman songs. One of her biggest hits was "Sempre" ("Always"). During her career, she also performed Neapolitan and Latin American pieces. During the 1970's, she starred in several popular TV shows. By the 1990's, however, she had largely left the spotlight. She died after falling from a third-floor balcony in an apparent suicide, although family members deny this, saying she may have fallen ill after taking anti-depression medication and lost her balance.